The Enna side dining chair in striking black wicker has a contemporary feel with the classic elegance of a traditional outdoor wicker chair. The frame is made with powder coated aluminum making this chair strong but also lightweight. 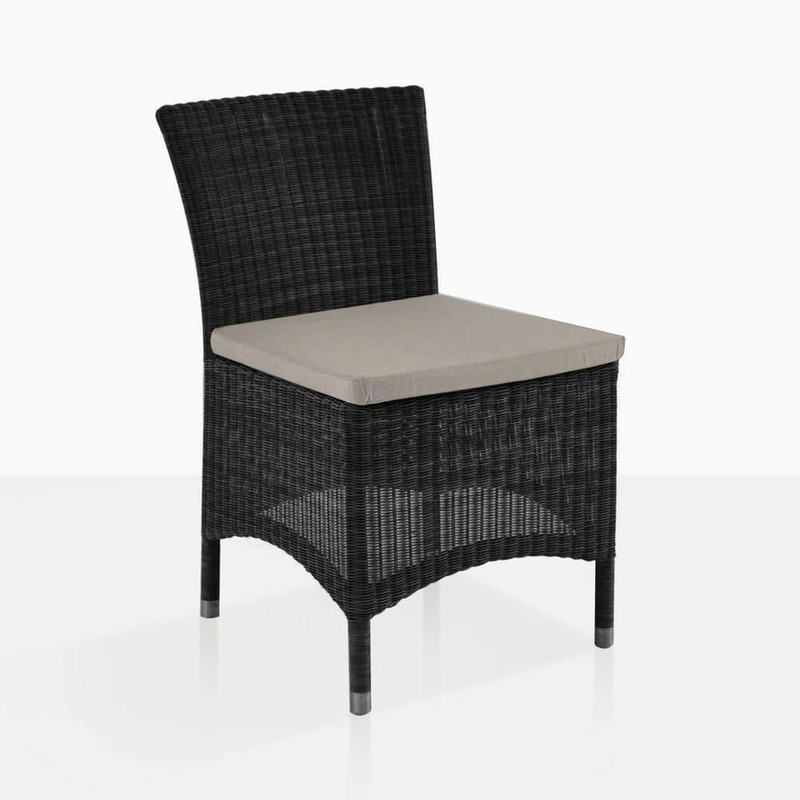 The high tech engineered wicker is beautifully wrapped and woven around the frame. 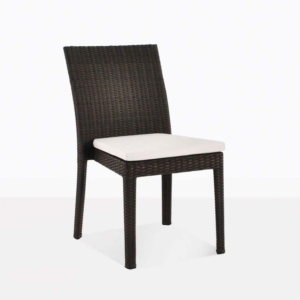 The subtle curves of this chair are aesthetically pleasing and make this an inviting dining chair to enjoy a long delicious meal. 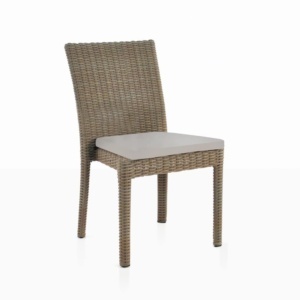 Order your Enna side chairs today!